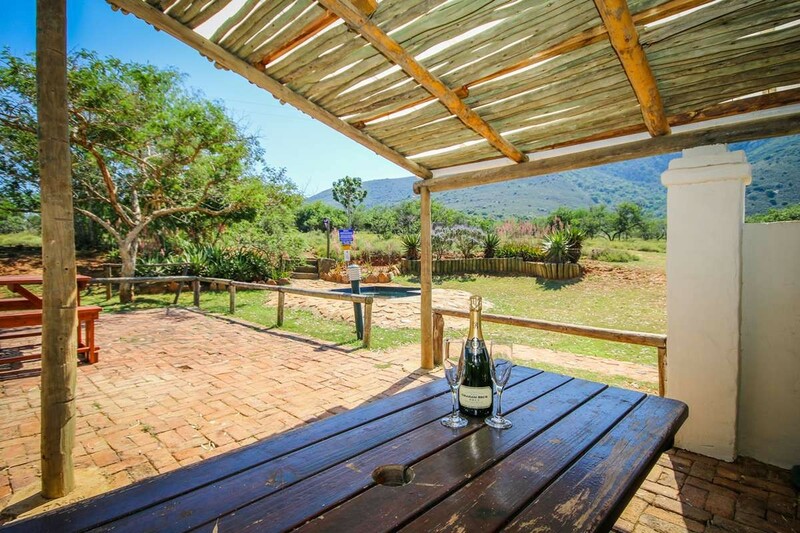 This 2000 hectare privately owned game farm in the Sundays River Valley is home to over many species of game including Giraffe, Kudu, Bushbuck, Cape Mountain Zebra, Eland, Nyala , Waterbuck, Impala, Wildebeest and jackal. 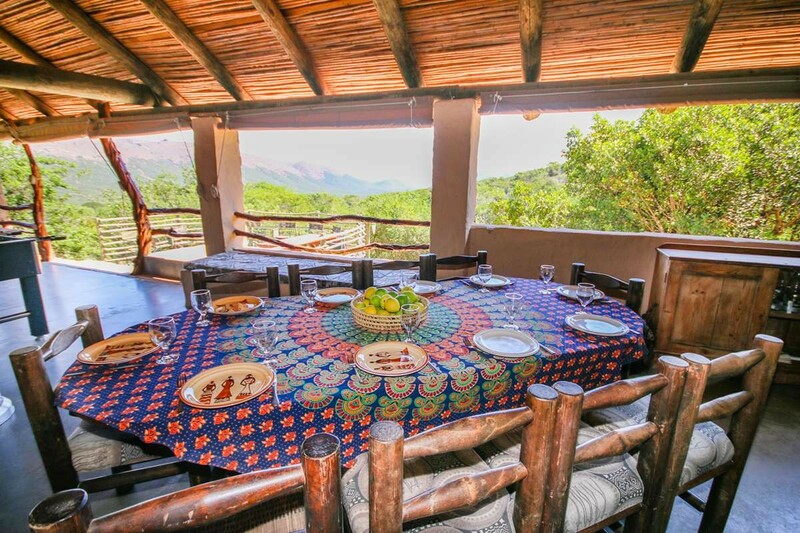 Bush Getaways offers fully equipped TGCSA 3 star rated self-catering accommodation at 3 different locations, namely Deer Cottage, Aloe Tented Camp and Intaba Lodge. 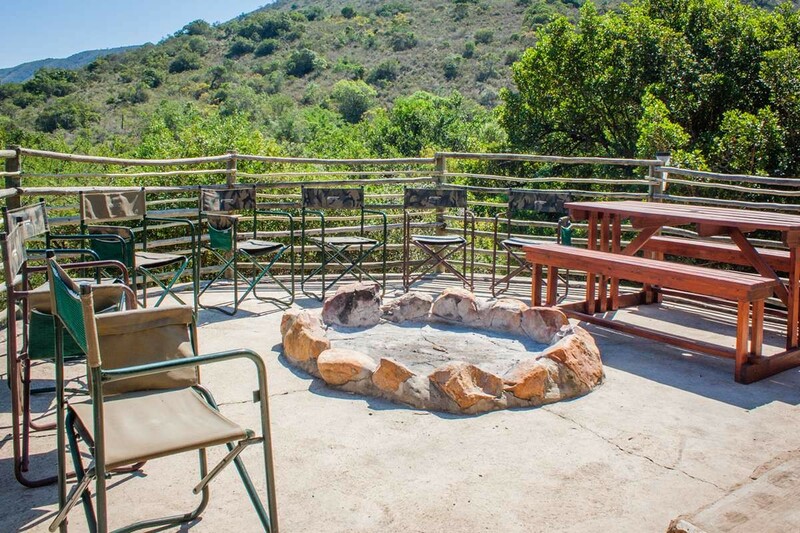 Three star Tented accommodation nestled into the surrounding bushveld offers a haven to de-stress and reconnect with yourself and your loved ones. 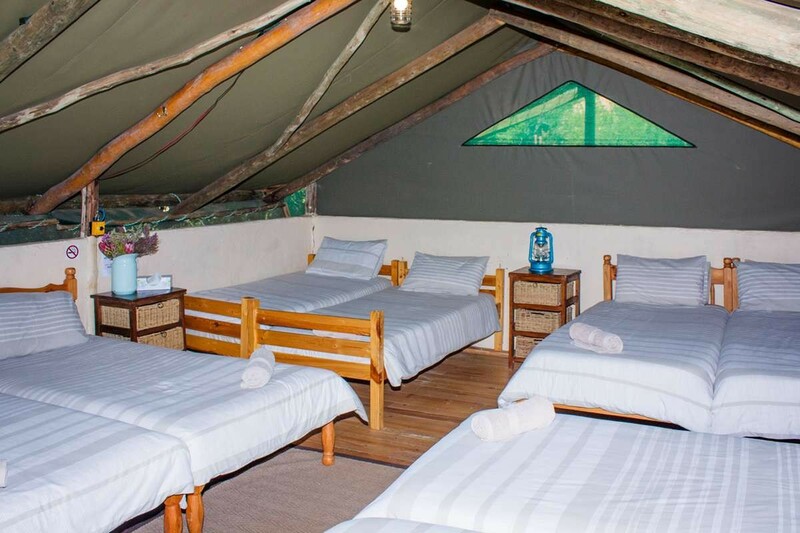 This child-friendly camp has 3 comfortable tents and a thatched cottage, sleeping a total of 26 persons. 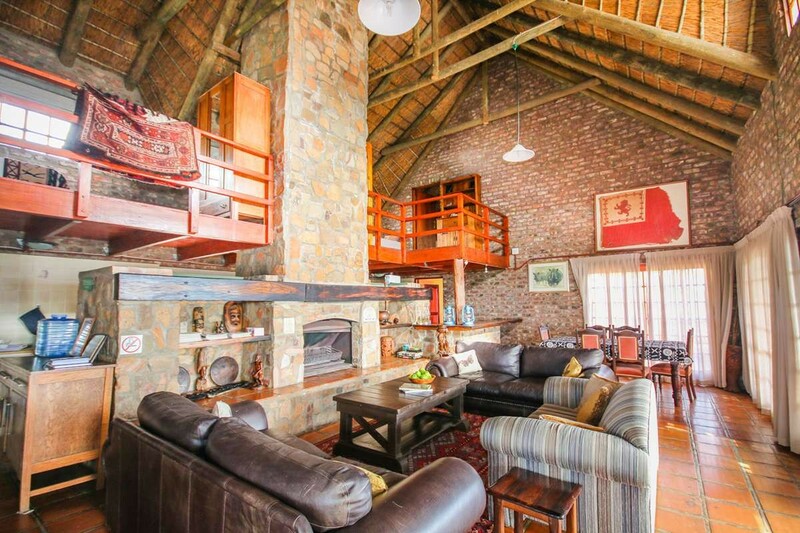 They all have their own shower/toilet/basin nearby. 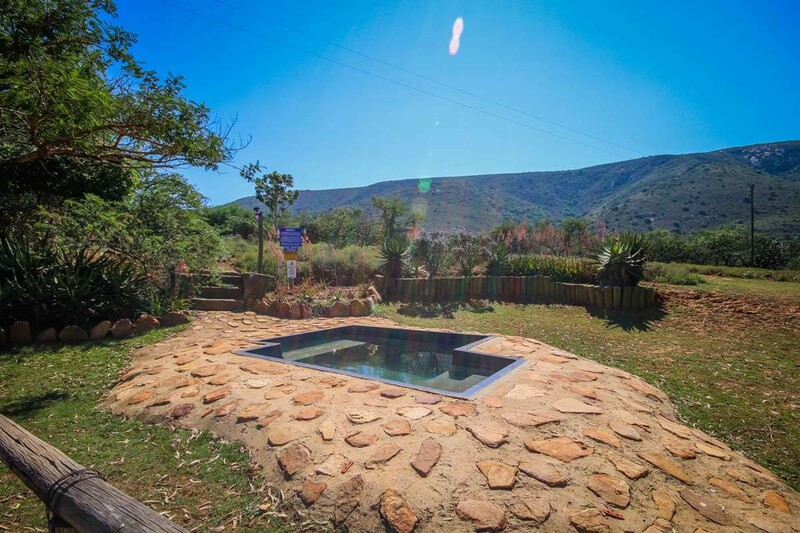 A central natural rock pool with deck and braai area, open plan kitchen, lapa and pub area offer a spacious and relaxing camp. 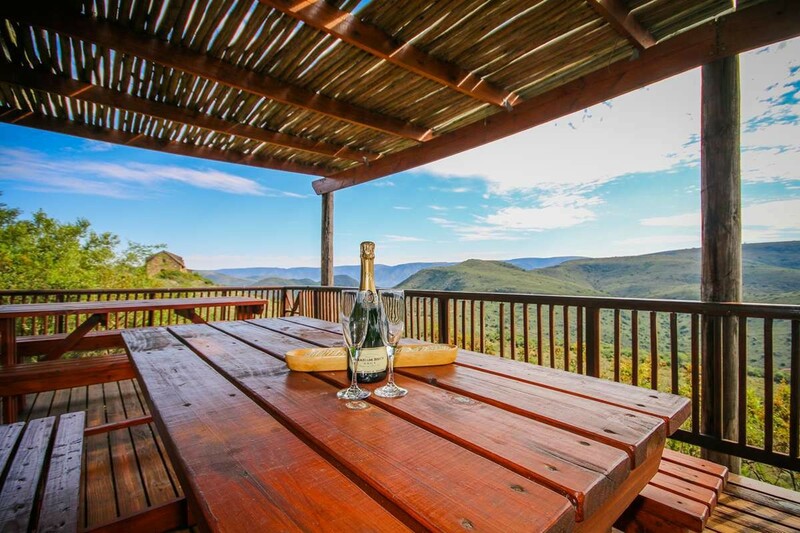 Marvel at the vistas of never ending stars and savour the calls of the wild on your doorstep. 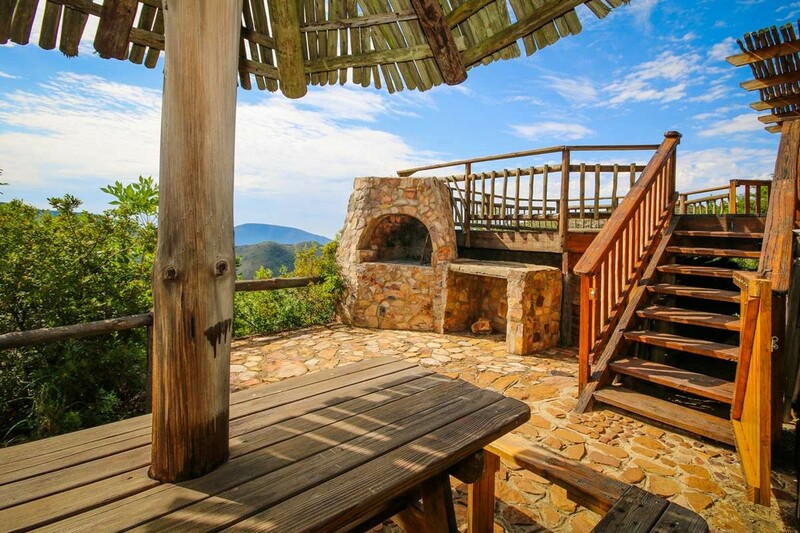 This luxury 3 star mountaintop guest lodge offers quality accommodation in a rugged environment. 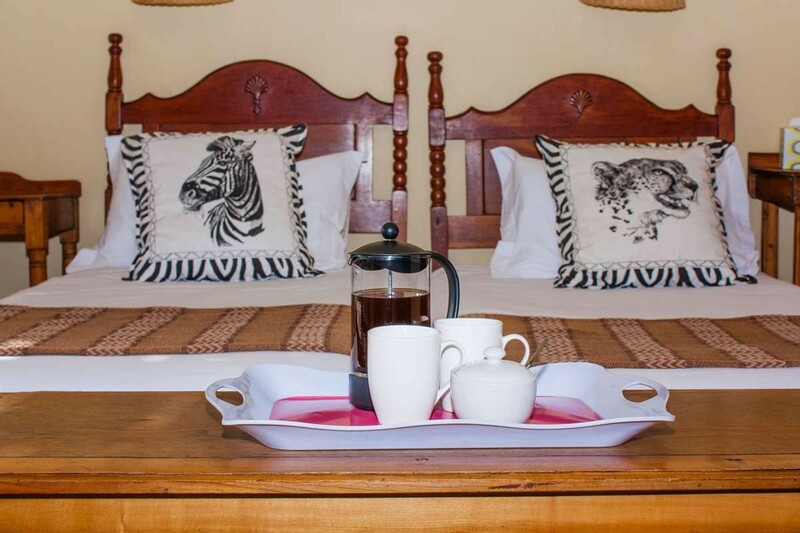 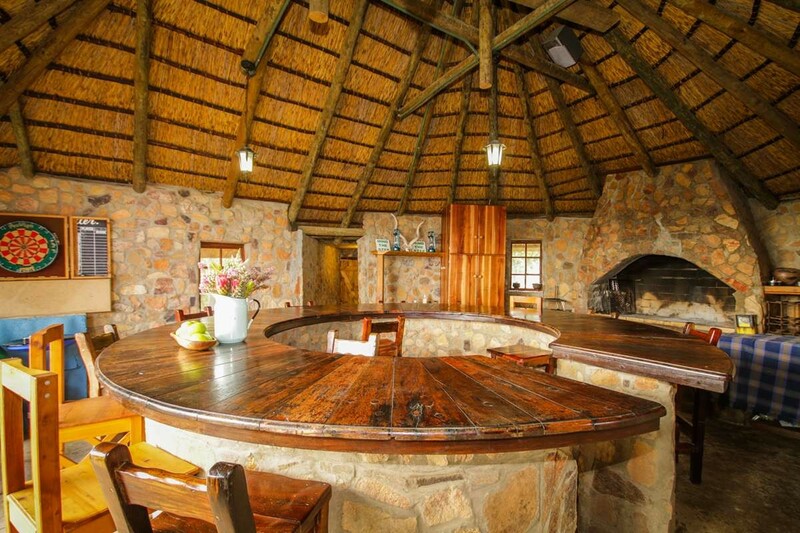 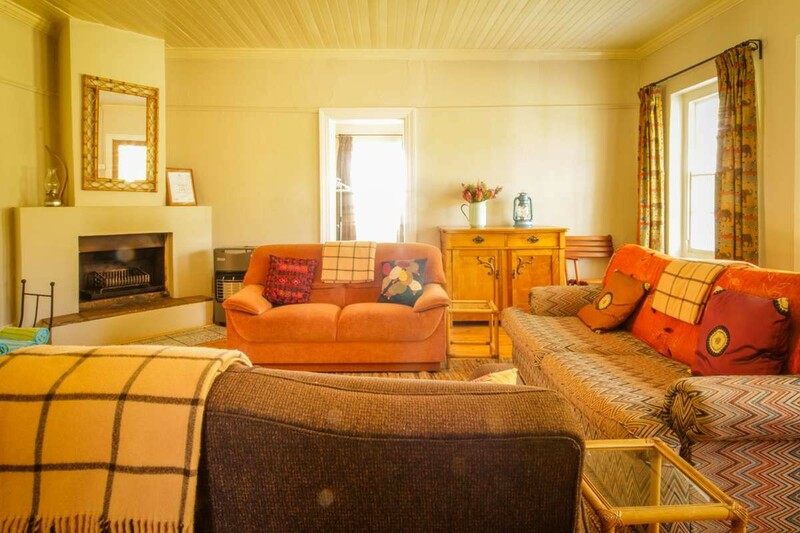 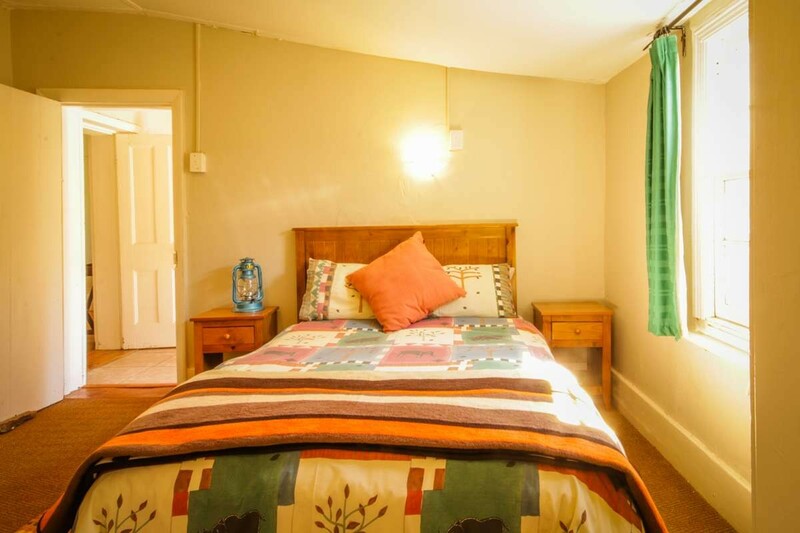 The thatched lodge has 4 bedrooms en suite and a 1 bedroom log cabin with bathroom and lounge area. 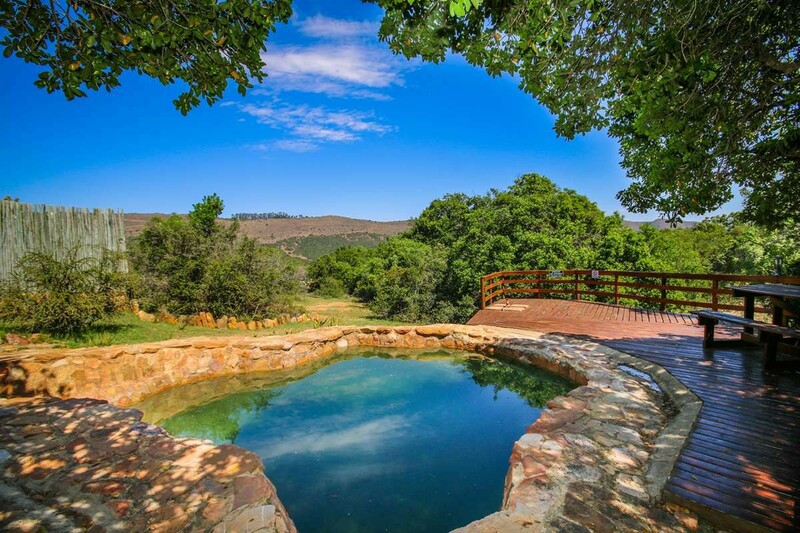 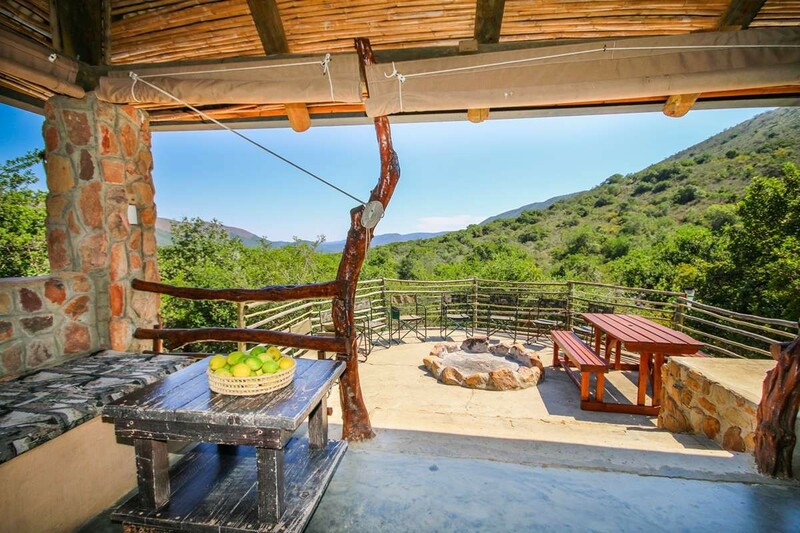 Fully equipped for self-catering, one can enjoy cozy winter log fires in the Lapa or Lodge, or cool off in summer in the cliff-edge plunge pool. 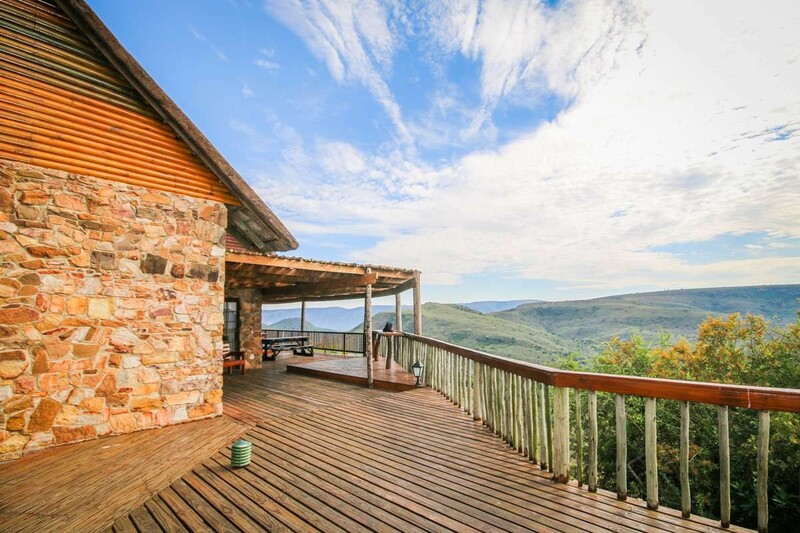 Panoramic wrap around views, stunning sunsets and abundant game viewing make the Lodge a highly desirable option. 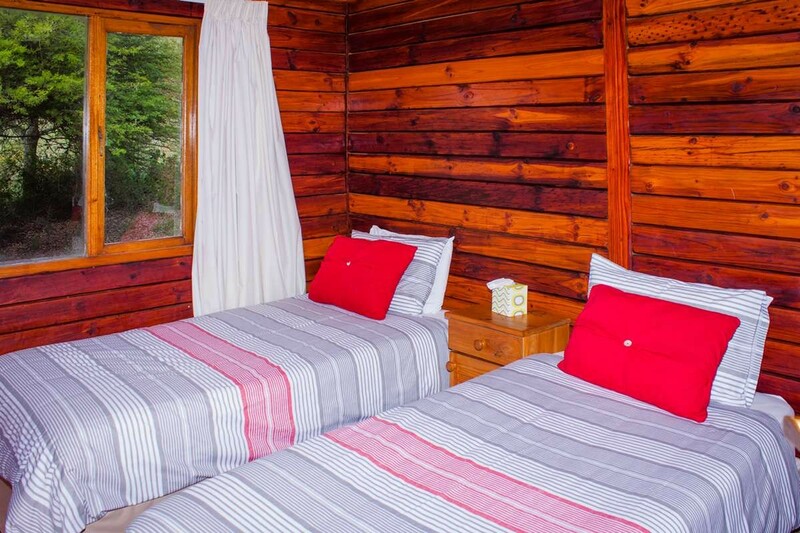 The Lodge is let out as one unit and is only accessible with a 4x4 vehicle. 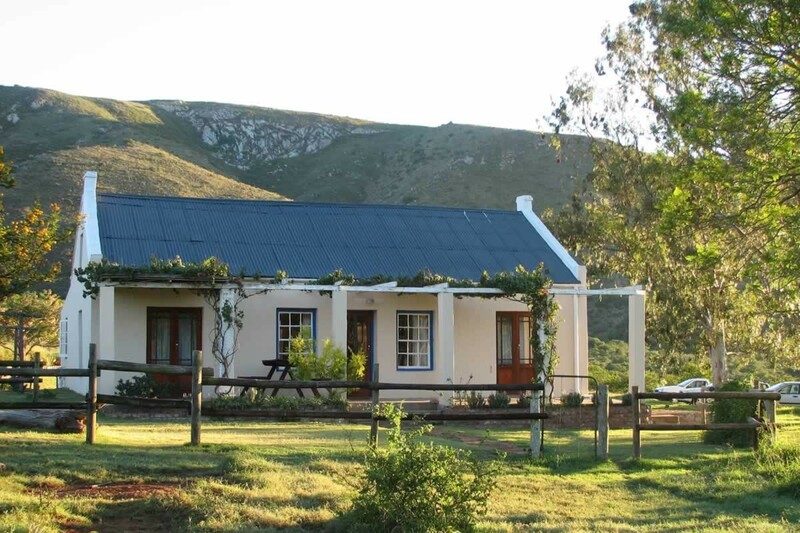 From Uitenhage travel on the R75 towards Graaff Reinett for 47 kms before turning right to Kirkwood (R336). 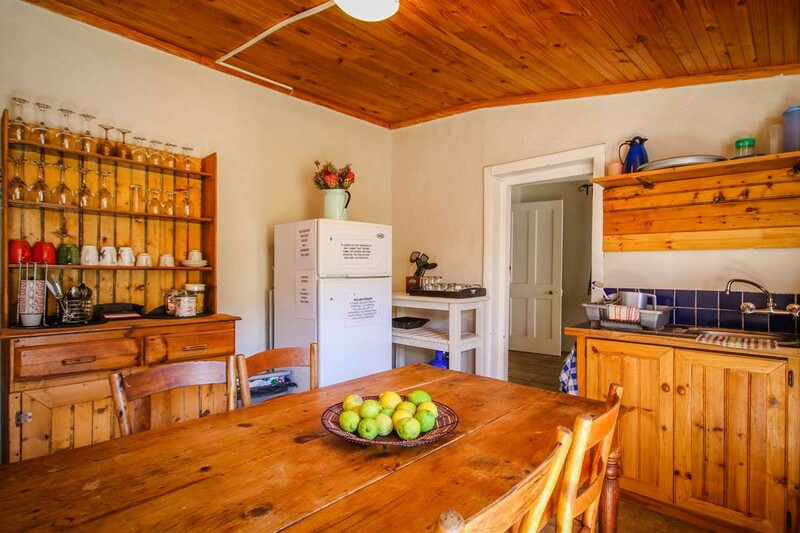 Travel for about 5kms and take the turnoff to yout left. 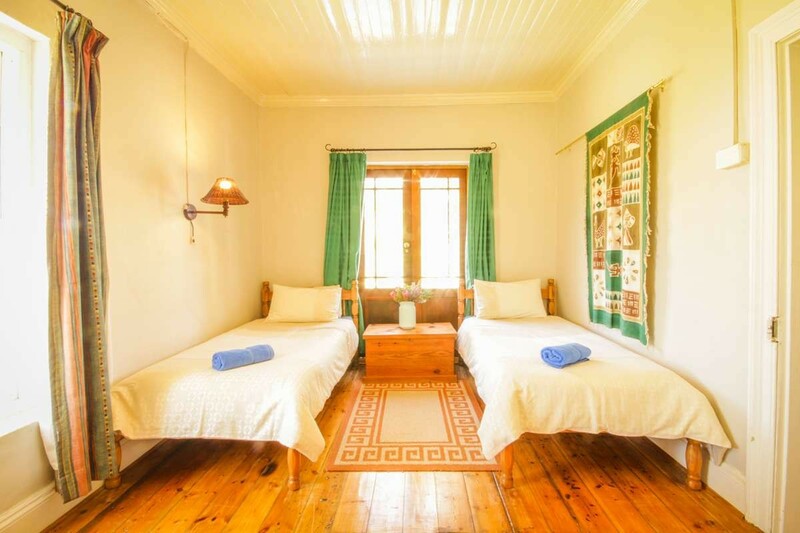 It is a gravel road marked "Brakkefontein" and has signs saying "INTABA LODGE 8kms / DEER COTTAGE 11kms / ALOE TENTED CAMP 12kms" Follow the winding gravel road for 8kms where you will find the Intabe Lodge gate on your right hand side. 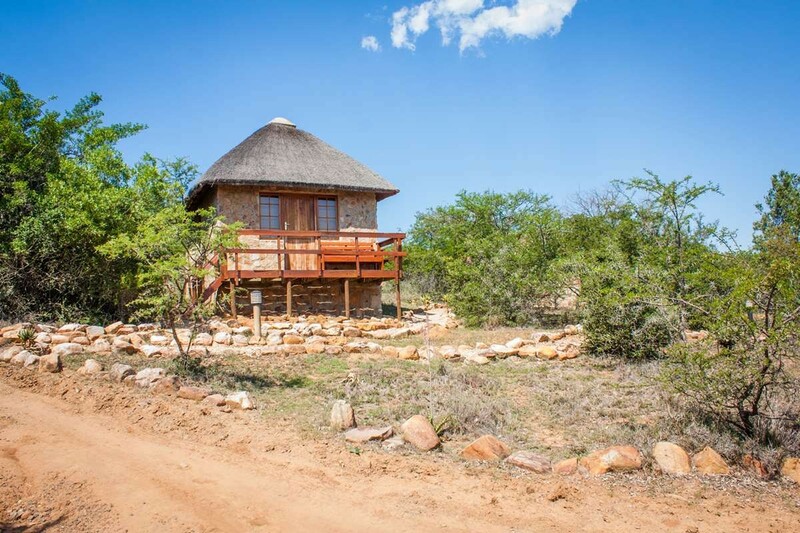 Further on the gravel road for a further 3kms you will reach Deer Cottage gate on your right hand side (Total 11kms) Pass the gate of Deer Cottage for a further 1km and you will reach Aloe Tented Camp Gate.